Perhaps less evident were questions of power selected two weapons to fulfil the short-range AA requirements. 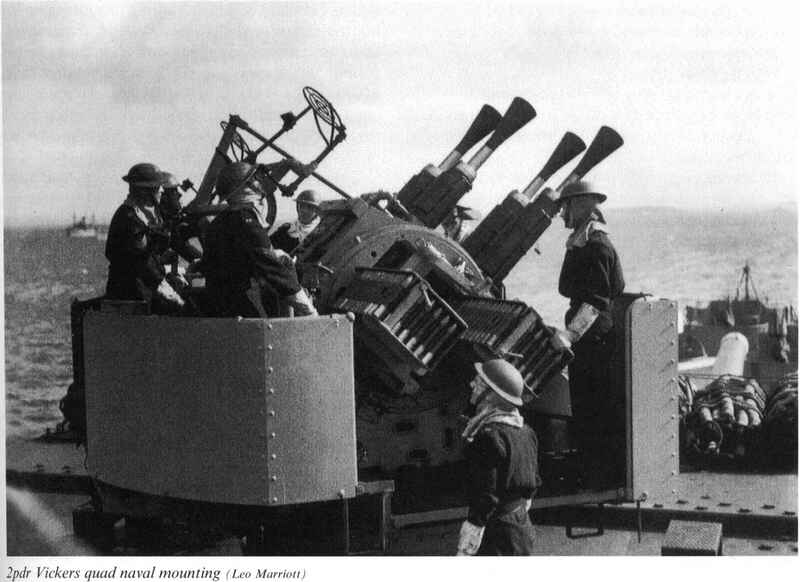 Powered mountings offered much roles: the .5" Vickers Mk III heavy machine gun and faster training and elevation rates but were more the 2pdr which has already been mentioned. 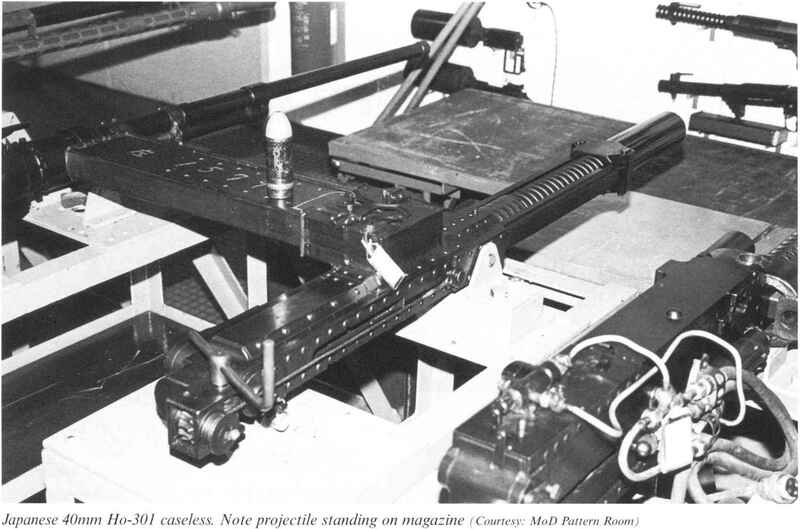 Both expensive and vulnerable to loss of power through guns were belt-fed and water-cooled. 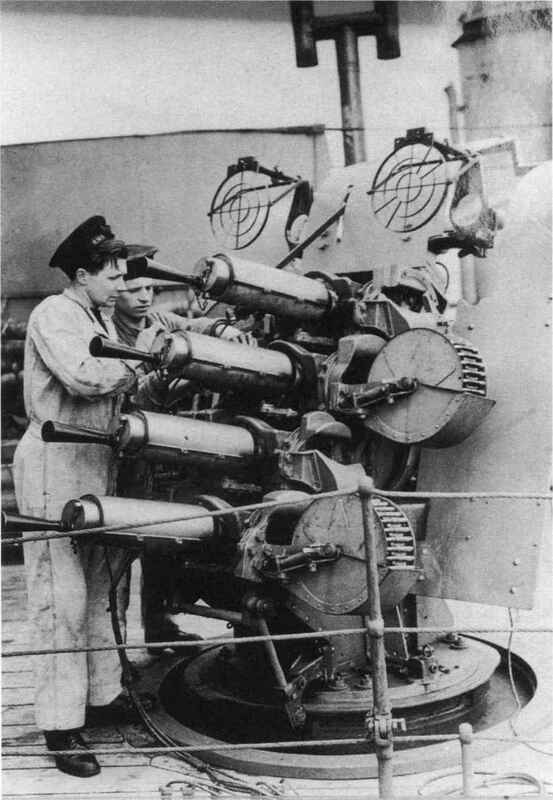 The .5" was originally intended for all three services, but only the RN made extensive use of it. The gun used Vickers's own 12.7 X 81 cartridge and fired at a rate of about 700 rpm. The first naval application appeared in the early 1930s in a four-barrel mounting (most unusually, with the barrels vertically stacked) which weighed between 1,000kg and 1,300kg and was intended mainly for destroyers. Subsequently, twin- and single-barrelled versions were produced for smaller craft. All of these were unpowered except for the hydraulic Mk V twin, which had respectable training and elevation rates of 72 and 50 degrees per second respectively. This weighed about 500kg and was typically fitted to fast patrol boats. and weighed 8,700kg; later, powered marks weighed between 10,000kg and 11,000kg. Single barrel mountings weighing 1,400-1,800kg appeared later and were used in a wide variety of vessels including fast patrol boats.